In a ceremony in Jerusalem on Tuesday, the American Jewish Joint Distribution Committee (JDC) and Israel’s Ministry of the Economy formalized their partnership to leverage Israeli agricultural technology as part of JDC’s new Tikkun Olam Ventures (TOV) program, which seeks to alleviate poverty among Africa’s smallholder farmers. Attendees included Shay Rinsky, director general of the Ministry of Economy and Industry; Mandie Winston, director of JDC’s international-development program; and American businessman and philanthropist Seth Merrin, who has long been involved in investment work in the developing world, including for his ongoing efforts at the Agahozo Shalom Youth Village in Rwanda. “Israel has incredible skills and technologies to share that will make the world a better place and significantly improve the lives of many,” said Merrin. “TOV is a novel philanthropic model that creates the perfect public-private partnership to implement the technology and the training necessary to significantly improve the yields of the farmers, which begins the journey out of poverty. It is incredibly exciting to think about how many lives we will impact over the coming years,” he said. 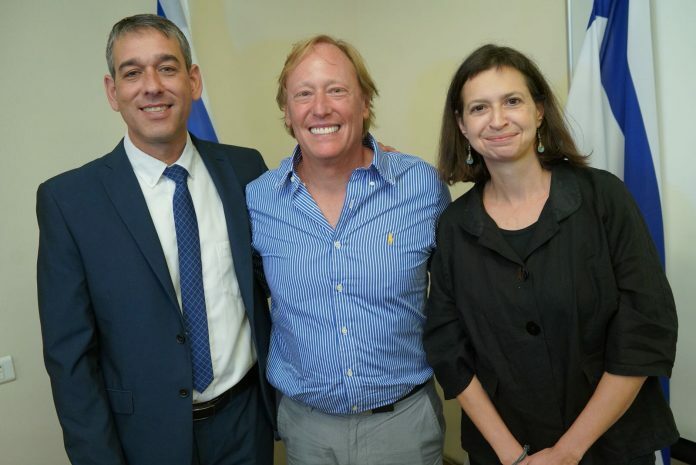 TOV’s partnership with the Israeli government will include the transfer of Israeli AgTech knowledge to experts, businesses and smallholder farmers in emerging economies, as well as the development of knowledge in Israel about both the needs of smallholder farmers to promote innovation and effective business models for reaching smallholder farmers. The partnership will also foster knowledge communities in Israel to disseminate and develop knowledge gained through TOV’s work in Africa, which is already underway in seven farming demonstration sites in Ethiopia. “This initiative is an important platform for the Ministry of Economy and Industry to give the developing world access to Israeli solutions to the challenges faced by so many,” said Eli Cohen, Israel’s Minister of Economy and Industry.